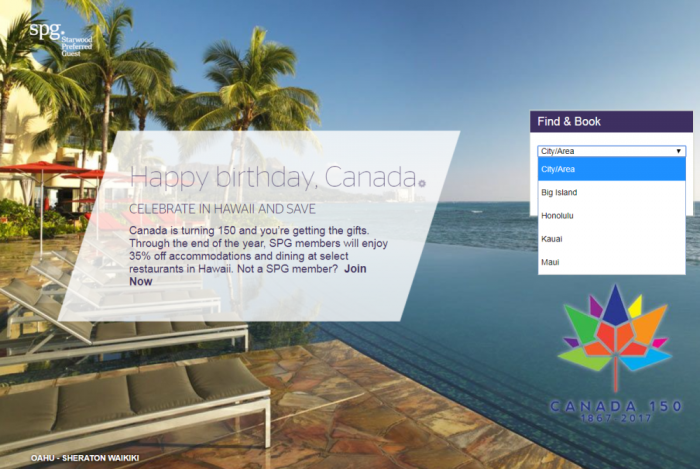 Starwood has launched Canada 150 themed 35% off accommodations and dining sale for stays in Hawaii through December 20, 2017. 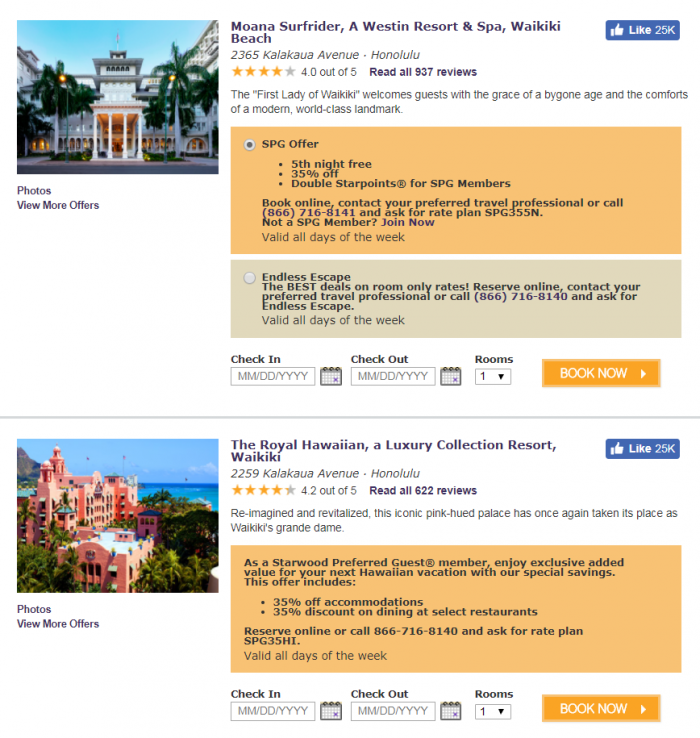 Seems that most properties are participating but the offer varies a but from hotel to hotel. You don’t have to be Canadian to take advantage of this offer but must book through the dedicated page or quote the offer code/rate plan when booking through the phone. I would assume that the discount varies and you can only get 35% off when the demand for accommodations is lower in Hawaii. Worth checking the rates under this offer if you are planning to visits the island before the Christmas this year. Offer is valid for stays booked and traveled by December 20, 2017 based on availability. Discount is taken off of the lowest pre-paid rate. Discount varies by hotel, see individual property offer for details. Must be an SPG member to be eligible for SPG member exclusive discount. Please see individual property terms and conditions for complete offer details. Book online today, call your travel professional, or call 866-716-8141 and ask for rate plan SPG35HI. An eligible stay is defined as minimum number of consecutive nights required paying a qualifying rate in the same hotel regardless of the number of check-in or check-outs that occur. Starpoints, SPG, Starwood Preferred Guest, Sheraton, Four Points, W, Aloft, Le Meridien, The Luxury Collection, Tribute Portfolio, Element, Westin, St. Regis and their respective logos are the trademarks of Marriott International, Inc., or its affiliates. Design Hotels is a trademark of Design Hotels.